We offer hood cleaning services–but that’s not all. Seattle Hood Cleaning Pros aims to be as versatile as possible. 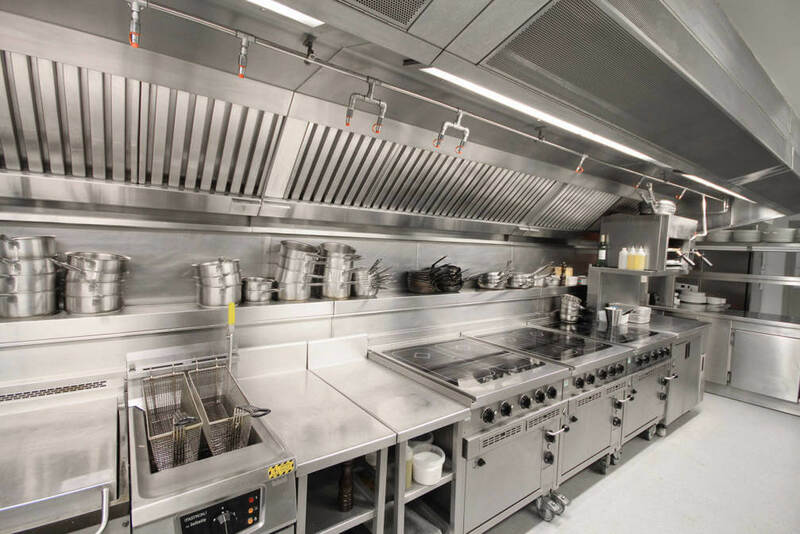 We know the challenges of running a commercial restaurant are intense, and at times it’s easy to overlook your kitchen and kitchen equipment needs. That’s why we offer additional services on top of our traditional hood cleaning services. When you’re working with us, we will always be here when you need us. Whether you have a basic question about your kitchen equipment, need a hood cleaning, or you think you have a problem. Fire codes and laws in Seattle require that exhaust fans have hinges. It seems like a funny requirement, but hinges make the world of a difference in an exhaust fan. An exhaust fan that is not hinged becomes damaged very easily. This presents a major fire hazard. Lord knows we don’t want any of those! Hinges will allow our crew to thoroughly clean the fan and the entire duct below it. Having hinges on an exhaust fan will increase life span of the fan. Exhaust fans can be easily damaged during the repair and/or cleaning process by simply taking an unhinged fan off and setting it aside. If the fan is not hinged, it can go out of balance and can start to vibrate thus making a loud noise. If you hear a loud noise coming from your exhaust fan, this could be a sign that it needs to be looked at. Our crew will deep clean your kitchen far beyond an average cleaning. Lack of professional cleaning can result in buildup on the floors, walls and kitchen equipment. Build up can attract unwanted pests, fire hazards, and bad inspection scores. Our crew will use proactive solutions in steam cleaning equipment technology using FDA approved chemicals. In NFPA code 96 there is a requirement that access panels on duct systems to change direction every 12 feet. Another strange requirement, we know. But, this allows technicians to thoroughly clean the duct system by getting into all the nooks. A system that is more accessible to clean is obviously a cleaner system and presents less of a fire hazard. An exhaust system is also required to have clean out ports. The ports are mini access panels that allow complete cleaning and inspection of the exhaust fan. Clean out ports (fan access panels) help our crew efficiently clean the back sides of the blades of the fan. Lack of clean out ports results in grease buildup on the blades of the fan. If there is grease buildup, the fan will become off-balance and begin to vibrate resulting in a loud noise. The vibration can damage your electrical set up, present a fire hazard, and end up costing you unnecessary time and money. Part of our standard hood cleaning services is to check out your hood filters. Hood filters are a mighty important asset to your hood system. The purpose of grease bevel filters and hood filters is to remove the grease laden vapors from the air.This prevents contaminating the exhaust hood ducts with unwanted build up and/or vapors. This is an important line of defense against fires in your commercial kitchen. Cleaning Hood Filters: If you aren’t already, you should clean your hood filters daily. This keeps them free of grease build up. It also maximizes the filtering capability. You can wash your hood filters if you have a high temperature dishwasher. However, if your filters are aluminum, we don’t recommend putting them in the dishwasher, as that will damage them. Commercial dishwashers use harsh chemicals that could cause a galvanized or aluminum hood filter to corrode. Replacing Your Hood Filters: Again, if you’re not already doing this, we suggest making a daily routine of inspecting your hood filters. If your filters become corroded or dented or cannot be easily cleaned, you’ll need to replace them. Seattle Hood Cleaning Pros allows our customers to purchase them from us at our cost. If you’ve been in the food business for long, you probably know that oil and grease can create a fire hazard, and even roof damage. A hood exhaust system is designed to remove the grease vapors from your kitchen…but that grease has to go somewhere! That would be, er, your roof. It’s nothing to worry about if you have an adequate grease containment. However, if you don’t, your roof may be at risk for corrosion. If this goes on for too long, your roof could cave in…that’s if the inspectors don’t get you first. Let us check it out and offer a solution. It is imperative to have portable fire extinguishers in your restaurant kitchen. It is required by law that employees are properly educated and knowledgeable about the whereabouts of accessible fire extinguishers. These fire extinguishers must be properly maintained and fully charged. If a fire extinguisher is not properly maintained, it can cause severe injury or damage to your employees, customers and business. We don’t want that! We are happy to inspect your current fire extinguishers and offer adequate fire safety education to you and your employees. We can then help you install the measure you need to keep your employees and business safe. 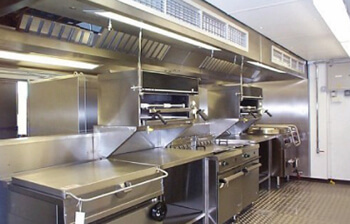 Seattle Hood Cleaning Pros also offers kitchen fire suppression system service and installation. This is the best way to maintain your system. This will give you a reliable and effective way to stay in compliance with standards. Our technicians will custom design and install your kitchen fire suppression system. They will then routinely inspect your kitchen fire system to be sure it is up to code. If you need us, give us a call. Our goal is to get on a first name basis with you. If you have any questions about your kitchen equipment and you don’t know who to ask, just call us. If you are interested in additional services on top of hood cleaning services, give us a call.